An elderly inmate of a mental institution recounts her story. If you've ever wondered how a collaboration between Ken Loach and Nicholas Sparks might play out on screen, Jim Sheridan has you covered with his adaptation of Sebastian Barry's 2008 novel The Secret Scripture. It's a hot mess. In present day Ireland (though I'm not sure what 'present day' exactly means here, as the film seems confused as to whether it's set in the '80s or today), the residents of a County Sligo mental institution are in the process of being transferred to a new facility in order to make way for the building's transformation into a hotel and spa. One patient, Rose McNulty (Vanessa Redgrave), refuses to leave, and so specialist doctor William Greene (Eric Bana) is brought in to work his charm and get her up and out of there. Roseanne begins to recount the story of how she came to be institutionalised, which plays out in extended flashbacks with Rooney Mara in the role of the young Rose. At the outbreak of WWII, Rose leaves Belfast for the safety of her Sligo hometown. A Protestant, she runs into trouble with some of the local IRA operatives, who warn her against romancing the town hunk, Michael (Jack Reynor), who controversially has joined the Royal Air Force. Meanwhile, the parish priest, Father Gaunt (Theo James), has set his eyes on young Rose. It's all set to end in tears. Sheridan crams a lot into The Secret Scripture's runtime, but it's a case of flinging enough feaces at a wall to see what sticks. There are a few interesting subplots within the film that could have easily stood on their own, but there's simply too much going on here, with enough melodramatic material for an entire season of a TV soap. The setting of wartime Ireland is initially intriguing, as I can't claim to have ever seen a WWII drama that explores the effects of the conflict on a neutral nation (the closest I can conjure is the not so nuanced 1946 Deborah Kerr thriller I See a Dark Stranger), but Sheridan has more interest in creating Sparksian romantic drama, complete with an injured fighter pilot holed up in Rose's hut, repairing a motorbike as he recovers. In light of recent revelations concerning the Catholic Church in Ireland, a subplot questioning whether or not Rose's child was killed by herself or by Father Gaunt will resonate with Irish viewers, though its handled in on-the-nose fashion. The anchoring scenes with Redgrave and Bana serve only to disrupt the flow of the drama, and lead to a Shyamalan-esque revelation that will leave you groaning. Mara is undoubtedly a talented actress, but while she often disappears into her roles elsewhere, here she simply disappears. Her Rose is a non-entity, the sum of her character amounting to her being pretty and a religious minority. Like Jack Nicholson in The Shining, she appears to be a little mad from the off, long before the Catholic Church whips out the old electroshock treatment. 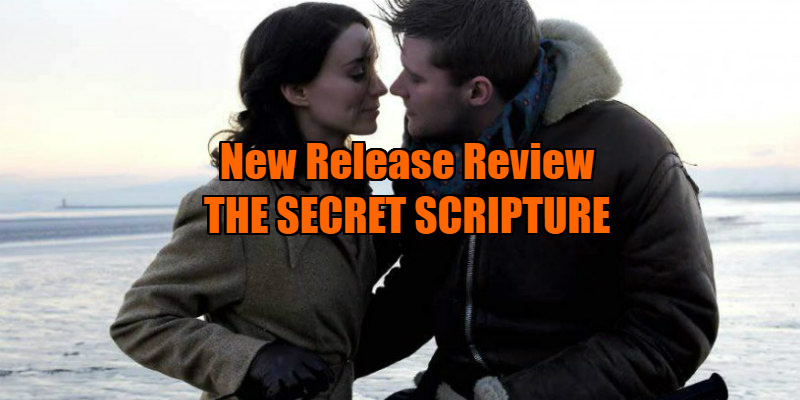 The Secret Scripture plays a lot like some old Hollywood melodrama that might turn up on TV on a Sunday afternoon, but those movies were immaculately crafted with taut storytelling, something Sheridan's movie can't claim. 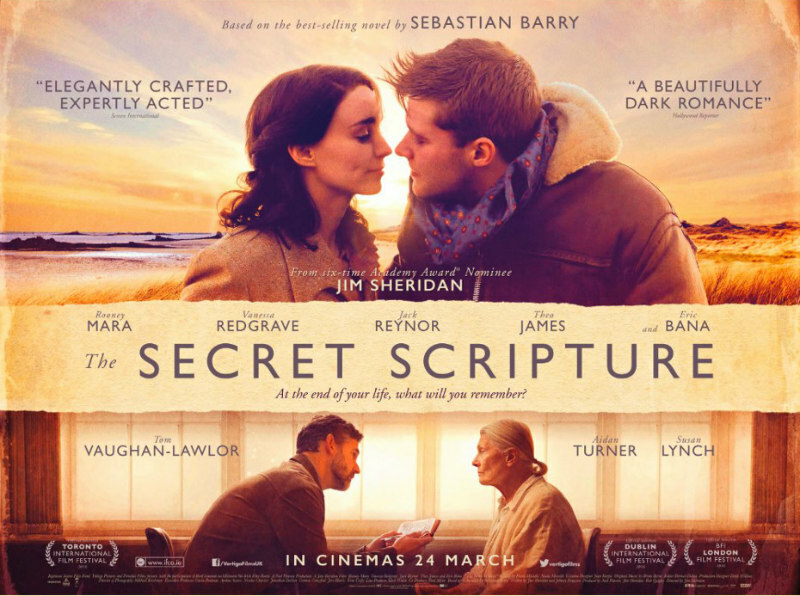 The Secret Scripture is in Irish cinemas from March 24th and UK cinemas from May 19th.